Leaves are turning. The air is getting crisp. The color and pageantry of college football is returning. 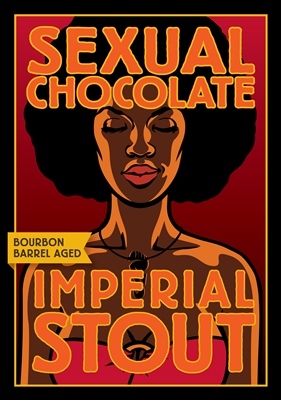 That can only mean one thing: it’s time for our Annual Release Party for Bourbon Barrel Sexual Chocolate. If you’ve been with us before for this most special of days, then the details below will be familiar to you. Read them anyway. 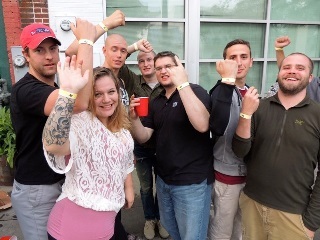 If this is your first time, then congrats on scratching this particular shindig off your Craft Beer Bucket List. And read on carefully. 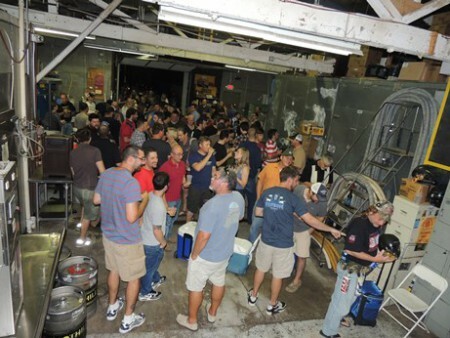 – Foothills will host its traditional Bottle Share Pre-Release Party on Friday night September 5th beginning at 7:00 pm, in the brewery portion of our brewpub at 638 West 4th Street in Winston-Salem. Appetizers will be provided. Price of admission is a bottle or two (or three or four) of something rare, unique or coveted in the craft beer world. We leave the interpretation of that description to you; but show up with a 6-pack of Blue Moon and mocking is sure to commence. – The line to buy bombers (22-oz. bottles) will begin on the sidewalk outside the front door of the pub. You’re welcome to queue up any time after we close at 2:00 am the previous evening. So for once you don’t have to actually go home at closing time. – City police officers will be on hand overnight—this will of course prove to be completely unnecessary, since we all know what a well-behaved lot craft beer enthusiasts are. – There’s a rumor that those nice officers will let you enjoy your own, um, refreshments until daylight. We can neither confirm nor deny . . . we will, however, refer you to the aforementioned good behavior. Wink wink nudge nudge. – There will be portable restroom facilities in the back parking lot. You’re welcome. 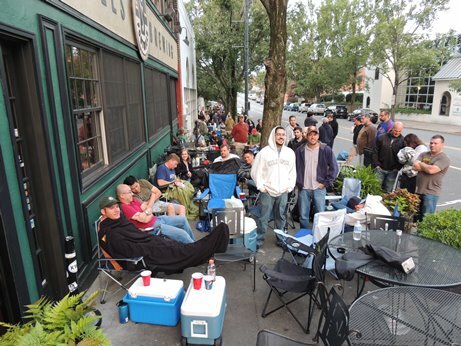 – The pub will open its doors at 8:00 am, BBA Sexual Chocolate will be tapped and waiting. We’ll also have breakfast available for purchase. Actual food, not beer. Not judging, just saying. And for those of you who complained last year — we’ve worked diligently on Biscuit Improvement. – Bottle sales will commence at 9:00 am. You’ll be summoned by your wristband number in groups of 50. Bottles are $20 each, limit of 6 to a person. Any questions about that? Then the answer is 20 and 6. (By the way, that is an increase from the 4 bottle max of the past. You’re welcome again.) We take all forms of payment — cash, credit cards, your first born . . .
– IMPORTANT: While we have the best supply of this beer that we’ve had in years (hence the new and improved bottle limit), both bottles and draft tend to move quickly. This is our polite way of suggesting that, if you want to partake in this beer, please please please plan accordingly. If you show up that afternoon and complain bitterly that there’s none left, you will only create bad karma for yourself. That and the staff will be doing impressions of you until next year’s release. Please do not ask us on Facebook or Twitter what time you should get there to get bottles. WE DON’T KNOW. Every year is different. – ALSO IMPORTANT: we will not provide extra boxes or bags – that would expand our carbon footprint exponentially. Please bring something to safely cart away your newly purchased liquid treasures. How big? About 6 bottles big. – No growler fills of BBA Sexual Chocolate. And no growling about no growler fills. Been there. Done that. Bought the glass. – We will have a limited number (less than 200) of Sexual Chocolate Teku glasses for sale, $15 each. No limit. They’re very cool. Somehow the beer tastes even better in them. Want to stay up to date on all the latest leading up to this event? Then follow us on Twitter and Facebook. Also check back to this blog, we’ll update it frequently with new info. In fact I just now added this sentence. It bears repeating — this year’s yield is significantly better than it has been in years past. So if you show up at a decent time, there’s an excellent chance you will be leaving happy. So show up! Hope to see you there. 9/5/14 10:30am WEATHER UPDATE: right now they’re calling for only a 20% chance of rain after midnight tonight — if you’re camping out, please base your attire on your faith in the weather man. Canopy tents will not be allowed on the sidewalk in front of the pub, but will probably be OK in the parking lot around the corner. Categories: beer, brewery, craft beer, north carolina craft beer | Tags: beer, brewery, craft beer, craft brewery, North Carolina craft beer, Sexual Chocolate | Permalink.